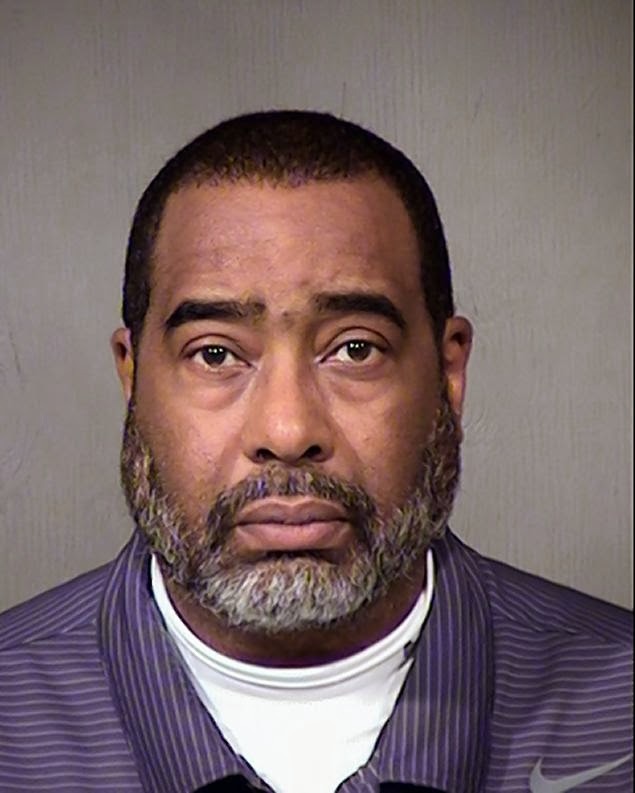 Tiger Woods half brother, Earl Dennison Woods Jr., was arrested for calling in a bomb threat at his job. The half-brother of golf superstar Tiger Woods is in a hole lotta trouble after he called in a fake bomb threat to the Arizona building where he works. Cops busted Earl Dennison Woods Jr., 58, on charges of using an electronic device to terrify, intimidate, threaten or harass others after he allegedly called his Phoenix workplace, the Department of Economic Security, to say he had a bomb and was going to blow it up on Thursday, KNXV-TV reported. About 100 employees were evacuated after the call came in around 8:30 a.m. Cops collared Woods after he admitted to the threat, saying he made the call “as a joke.” He has since apologized and is reportedly cooperating with police. Woods and his famous younger half-brother, Tiger, share the same father, Earl Woods Sr. The blood relatives reportedly have little contact but Earl Woods Jr.’s daughter Cheyenne Woods, 23, is following in her uncle’s golf cleats: She turned pro last year and is on the Ladies European Tour. Yep its hard, his daddy abandoned him the first born, his mother, his brothers and sisters. Then his daddy married that asian woman, gave all his money and devotion to her, ignoring his Black children, and was a hands on loving father to his biracial son Tiger giving him the world!! Earl Woods Sr. get you some help!! I thought Tiger was "Earl Jr." Well, he is the great Caublasian hope aka "the chosen one." No, Tiger is named Eldrick and their father died a little before the cheating scandal broke.